Chalet Clementine is located in the pine tree hill side setting of Clos du Pre, which is close to the centre of the Oz en Oisans Ski resort. 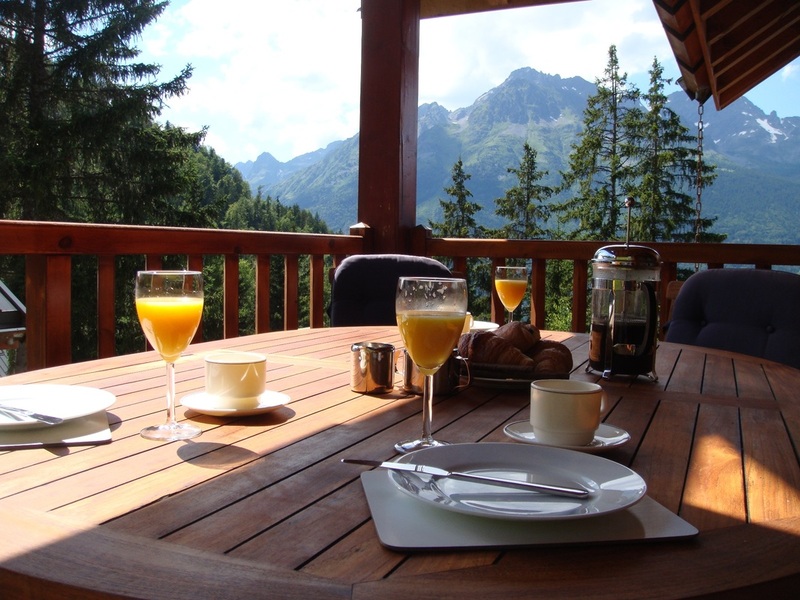 The Chalet has stunning views of the Belledonne Mountain Range and is modern, bright and spacious with everything you need to make your holiday perfect. The owners live in Oz en Oisans during the winter and will normally be on site to welcome guests personally. Their aim is to provide a chalet that provides a family or a group of friends both comfort and some luxury after a day outdoors in the Alps. There is an entrance hall on the first floor with ski and boot rack and plenty of hooks to hang your coats. This leads to a large open plan area complete with a welcoming log burning fireplace and lounge. At the other end of the room there is a large table seating 10. Two doors lead onto a balcony which we have extended in 2016 around two sides of the chalet. It offers wonderful uninterrupted views. Round the corner there is a fully fitted and well equipped kitchen from which double patio doors also lead out onto the extended balcony which has an outdoor table and chairs, seating six. On the ground floor are three bedrooms and from the lounge, steps lead to a fourth mezzanine bedroom. Underfloor heating is provided throughout supplemented by electric heaters and fireplace. The setting is particularly suited to families or folks who enjoy the quieter apres ski setting, that a peaceful pedestrianised resort offers, with a few bars and some very good restaurants. The skiing area is vast and suitable for all. If this summary appeals, there is a lot more information on the following pages.